2019 is all about YOU – for your growth, independence and peace of mind. Newsflash! 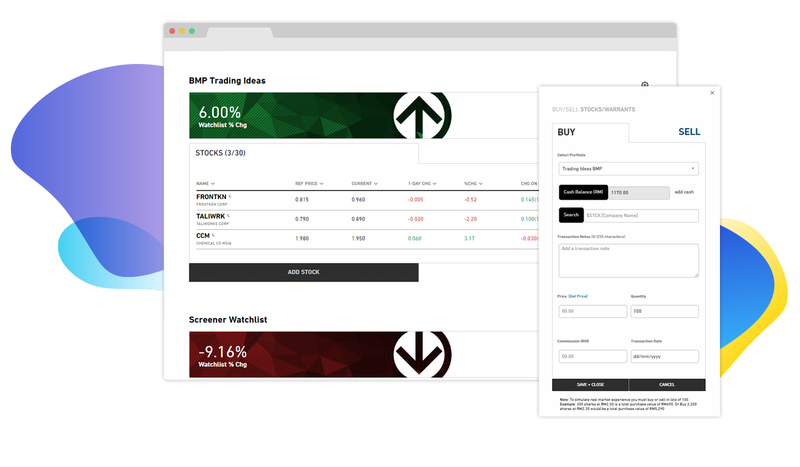 The Portfolio & Stock Alerts features have been launched! 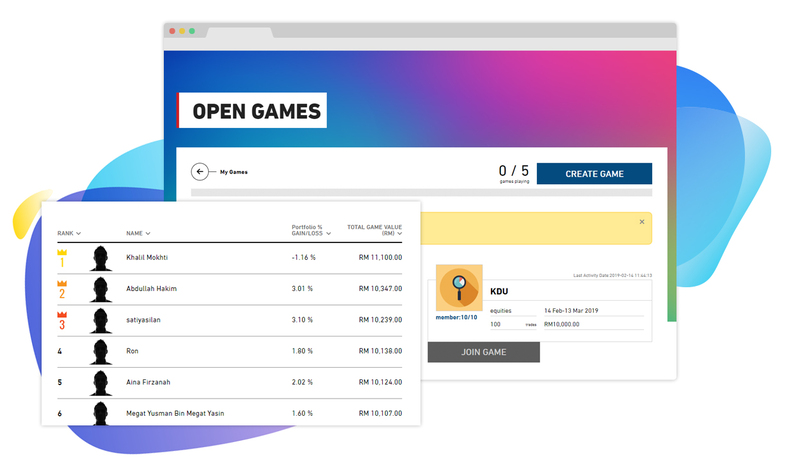 Now you can buy and sell stocks virtually using the Portfolio feature. How? 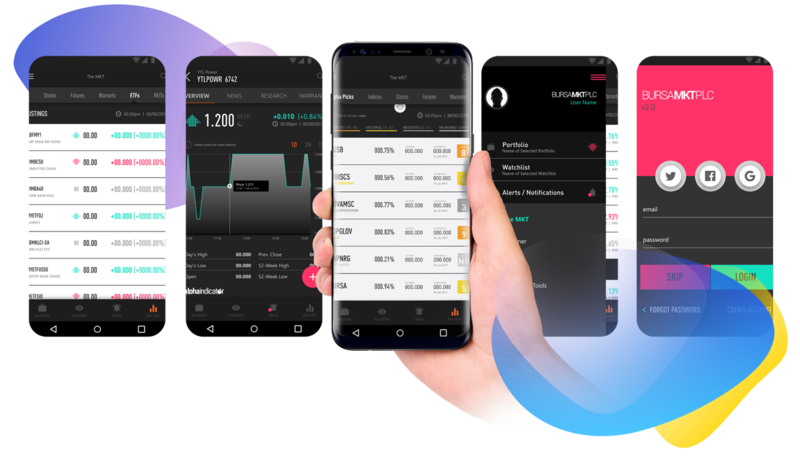 Just build your portfolio, add virtual cash and start trading on-the-go. Start Trading smarter beginning 29 April 2019 with the new T+2 Settlement cycle from Bursa Malaysia. Buy Shares Today. Settle 2 Days From Now. It’s that Simple. Start trading FM70 now and you may enjoy fee waiver of Exchange & Clearing Fees until 26 August 2019. Add the top 50 U.S Blue-Chip companies to your portfolio with a single investment. Call your broker today. 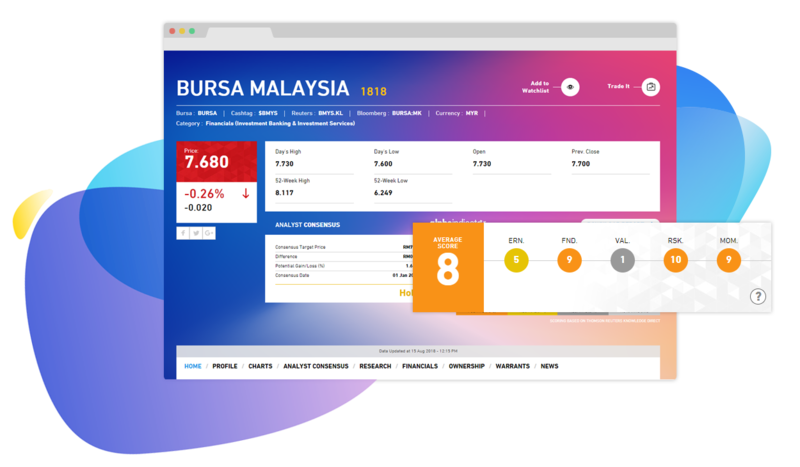 Bursa Marketplace is Malaysia's one-stop portal to educate retail investors in their share investment journey. 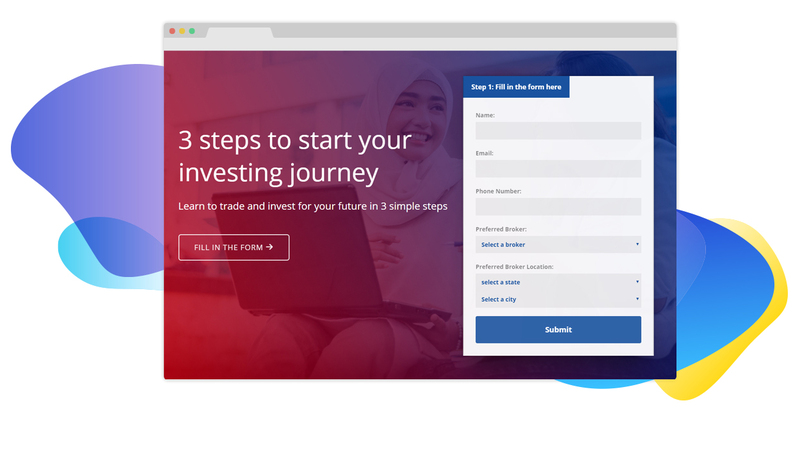 Begin your Share Investment journey in 3 steps! Your daily source to the latest market data, insights, and trading ideas at your fingertips. Want to see the performance of the companies? Alpha Indicator is a useful tool that scores stocks for you on a scale of 1-10. A simple and straightforward way to help you choose your stocks. 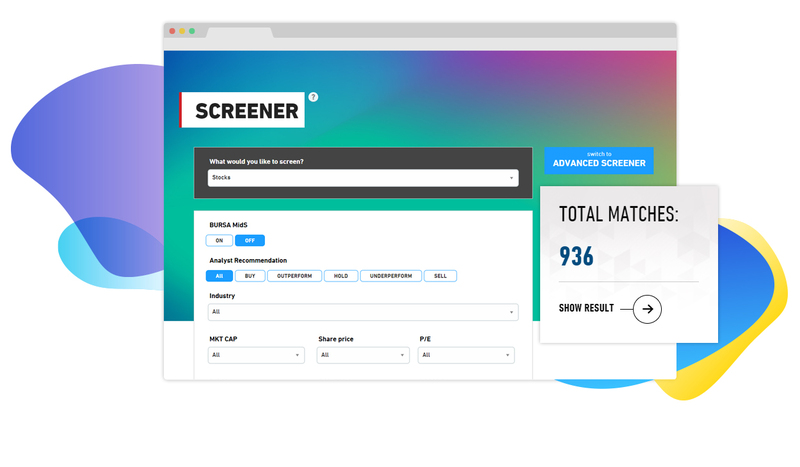 Our Stock Screener is designed to help you find stocks that match your investment style. Search for stocks based on your criteria, using our filters to customise along the way. On Bursa Marketplace, learning doesn’t come at a price. Sign up now and learn how to invest in real companies, with virtual cash. Just fill in the form and a broker will contact you within 3 working days to arrange an appointment. All market data is provided by Thomson Reuters except for data on Malaysia indices, Warrants and Futures which is provided by Bursa Malaysia. Prices displayed on this website are delayed by 15 minutes.